In an act of either nobleness or shameless bribery, Lamborghini CEO Stephan Winklemann donated a 610bhp 200mph Huracan to the Italian State Police. 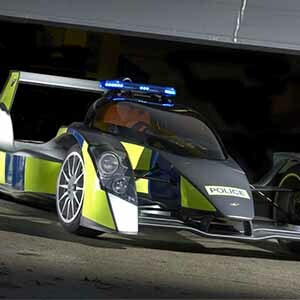 Its modifications for law enforcement include a gun holster, video recording equipment, defibrillator, a refrigerated compartment with human organs for emergency transplant, as well as siren lights flattened to make them more aerodynamic. The Huracan has some big shoes to fill, replacing two Gallardos, Lamborghini’s best selling model, which were in service since 2004 and 2008. One of them reportedly clocked 87,000 miles without need for any major repairs. 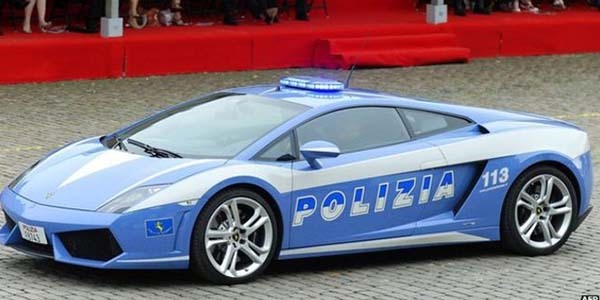 Ironically, the Italian State Police often targets drivers of luxury cars hoping to nab them for tax evasion.